The third and final healing service of the 2019 Healing School Autumn Session was the capstone of a most notable and phenomenal season of divine healing and health. Drawn from several nations to this most memorable service were highly-enthusiastic youth, partners and students anticipating diverse manifestations of God’s love! The April 2019 Global Communion Service with Pastor Chris was replete with moments of praise and thanksgiving to God in songs and prayers. LMAM artistes, Martin PK, Cliff M, Farlon Lyte and more put songs on the lips of the LIVE audience and the global congregants in various viewing centers, with which they expressed gratitude to God for the month of possessions. ‘6 Days of Glory’ with the man of God, Reverend (Dr.) Chris Oyakhilome, took off in glory. Members of Christ Embassy Lekki, Lagos Zone 5, and residents of the Lekki peninsula in Lagos, Nigeria, flooded the auditorium in anticipation of the outpouring of God's Spirit. The atmosphere was resplendent, marked with God's manifest presence as special songs were led by the choir, while a special talkshow session. The February 2019 Global Communion Service with Pastor Chris kicked off with an inspiring worship session, led by LMAM artiste, Obi Shine, and the choir. The esteemed Pastor Ifeoma Chiemeka brought the testimonies of impact made by the ministry so far to the memories of participants around the world, giving them further reason to praise the Lord. The 3-day destiny-altering conference, which began from the 25th of January to the 27th of January 2019, at the Adokiye Amiesiemaka Stadium, was an unveiling of God's unlimited glory and the unprecedented outpouring of the power of the Holy Ghost upon the city of Port Harcourt and its environs and upon all attendees. 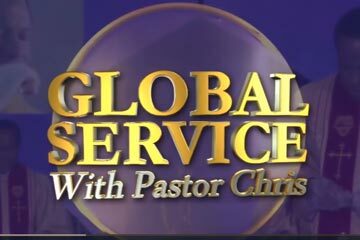 The first Global Communion Service with the man of God, Pastor Chris, kicked off with participants from around the world joining in LIVE from churches, fellowships, viewing centers and their homes via LoveWorld Networks. The global congregation eagerly anticipated the man of God, Pastor Chris’ expatiation of the message of the year. A year ago, the man of God, Pastor Chris, said to a similar audience, “the year is nothing without the word of God,” summing up the reason for which millions were tuned in via LoveWorld Networks, terrestrial television and radio to start the year off with prophetic insight. The grace, words and power of the Spirit that will define the destinies of participants in 2019 was soon be released as the man of God declares what the Spirit says for the year. The LoveWorld International Music and Arts (LIMA) Awards recognized the spread of the unique message given to the man of God, Pastor Chris, through music, dance, spoken word and other art forms. This year’s edition was broadcasted LIVE to the rest of the world for the very first time, allowing many to join in the divine ecstasy from the comfort of their homes. The International Pastors’ and Partners’ Conference 2018 was indeed a time of celebration of supernatural accomplishments, resulting from the words of the BLW President on December 31st, 2017. Every session of the most anticipated event of the year, IPPC, had always been replete with revelation, inspiration and divine enablement for the coming year. 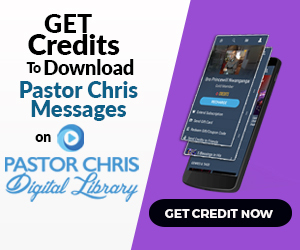 “2019 is the Year of LIGHTS,” Pastor Chris Announces to Global Congregation! Pastor Chris Oyakhilome (D.Sc., D.D. ), is the President of LoveWorld Inc. and of Christ Embassy. Being a Man sent from God and a unique minister of the gospel of Jesus Christ, his Spirit-filled and anointed leadership continues to propel a dynamic, multifaceted and global ministry.